Nintendo has announced the latest in its Labo line of DIY cardboard accessories, which turns the Nintendo Switch into a makeshift Virtual Reality kit. 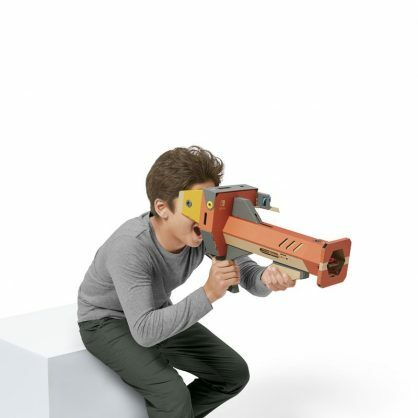 For $79.99 (R1,140) users will get six different cardboard kits to build including VR goggles, a blaster, a camera, a screen holder, a “safety cap” and an “elephant”, whatever that is. For those on a budget, a basic starter kit that includes just the goggles and blaster will be sold for $39.99 (R570). Nintendo describes “The Nintendo Labo: VR Kit” as being a “unique first VR experience”. While the Labo VR Kit clearly isn’t meant to mimic the power of traditional VR headsets currently available for PCs and other consoles, it looks like a fantastic way to try out the digital realm without a steep upfront cost.